On Saturday, September 24, 2016, in Vladivostok opened a memorial complex to the founder of sambo in Russia Vasili Oshchepkov. The monument appeared near the sports center of CSKA (Korabelnaya Embankment, 21), where in 1914 opened the first section of judo in Russia. At 16.30 near the memorial complex gathered about 300 people. Prior to the inauguration of the monument (the work of the local sculptor Pyotr Chegodaev), before the people spoke high guests. In particular, the assistant to the president of the Russian Federation and the chairman of the supervisory board of the Amur tiger center Konstantin Chuichenko, the governor of the Primorsky Territory Vladimir Miklushevsky, acting Mayor of Vladivostok Konstantin Loboda and General Consul of Japan Kasai Tatsuhiko. 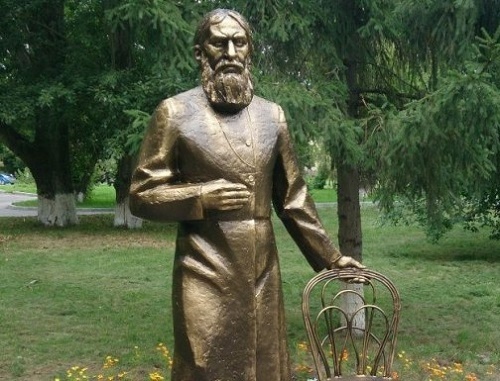 On the territory of the modern perinatal center in Tyumen appeared a monument to Grigory Rasputin. The place was not chosen by chance: it is here the old man was undergoing treatment after being stabbed in the stomach in 1914, and then worked as an orderly. The statue of an old man in a full-length, the hand rests on on a Viennese chair, which according to legend, helped him to heal men’s disease. Rasputin – known historical figure, and he deserves this monument. 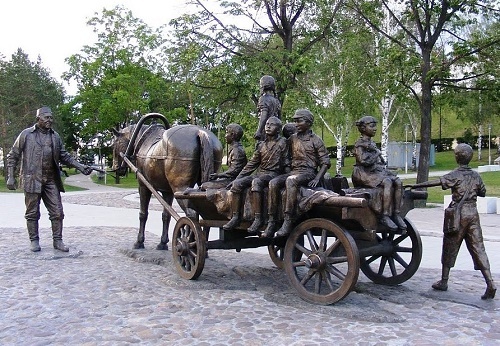 According to Tyumen sculptor Vladimir Zolotukhin, he used archival photographs working on the monument. The composition appeared thanks to the sponsors of 15 Tyumen enterprises. 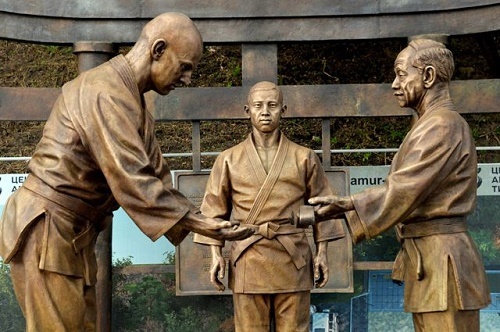 Unfortunately, the monument is made of glass, plastic, but such a historical figure deserves a solid monument, at least bronze. Rasputin was a believer, and many of his prophecies come true. He was a real saint, brutally murdered 30 December 1916. All the legends that go of him – no more than a fairy tale, invented by enemies to defame. Asgat Galimzyanovich Galimzyanov (2 March 1936 – January 3, 2016) – the famous Soviet, Russian and Tatarstan philanthropist. Working as a carter at the Kazan collective farm market, he raised cattle in his shed and for earned money bought more than 80 buses and cars for orphanages of the Soviet Union and Russia. He became the prototype of the monument to the philanthropist in the center of Kazan. Asgat Galimzyanov began his charitable activities with the help of the children’s home № 1 in Kazan. He brought there an entire cart of apples, pears and oranges. By the way, not all families could afford fruit at that time. Later he also bought fruit and warm clothes for kids. In addition, he donated a car Niva, and PAZ automobile. Besides, he spent much time with children, giving them a ride in a cart. Eighteen months have passed since the death of the famous Russian singer Zhanna Friske (Jeanne Friske). She died on June 15, 2015 at her home in Balashikha. Her younger sister Natalia said last fall that she, along with her parents were going to perpetuate the memory of Zhanna, erecting a monument in her honor. Then the younger Friske said she would like to see the monument of Zhanna in full growth in a beautiful long dress or a concert costume. 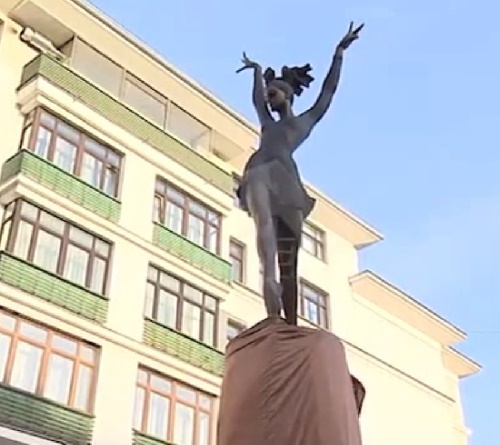 Earlier it was reported that famous Russian painter, sculptor and designer Zurab Tsereteli could make the sculpture. However, the authors of the monument became sculptors Levon Manukian and Ivan Volkov. According to them, the hardest thing they had to deal with – was a face. So, they focused on a photo .. Despite this, the monument received outrage from her fans. “I do not accept eternity! Why did you bury me? And on her beloved land, in Russia, constantly appear monuments, sculptures and plaques perpetuating the memory of the poetess. And one of the most famous, perhaps, is the monument on the shore of the river Oka in Tarusa. 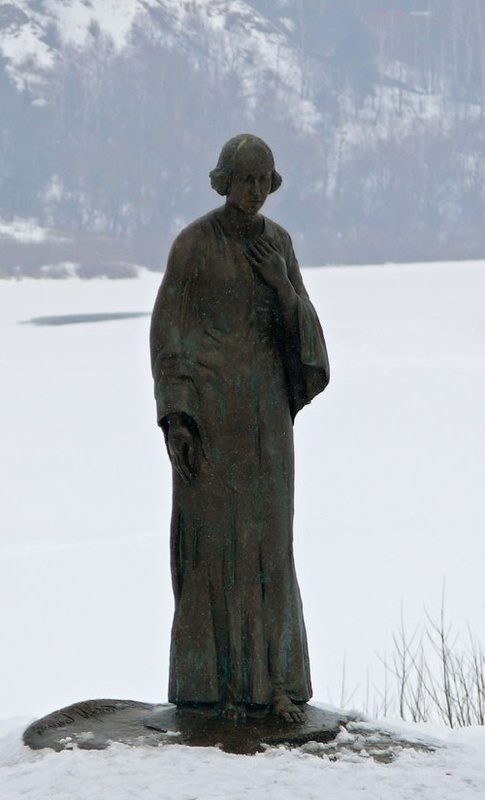 Here Marina Tsvetaeva – the prodigal daughter, barefoot, and bent, as if always guilty, stands with her back to the river. 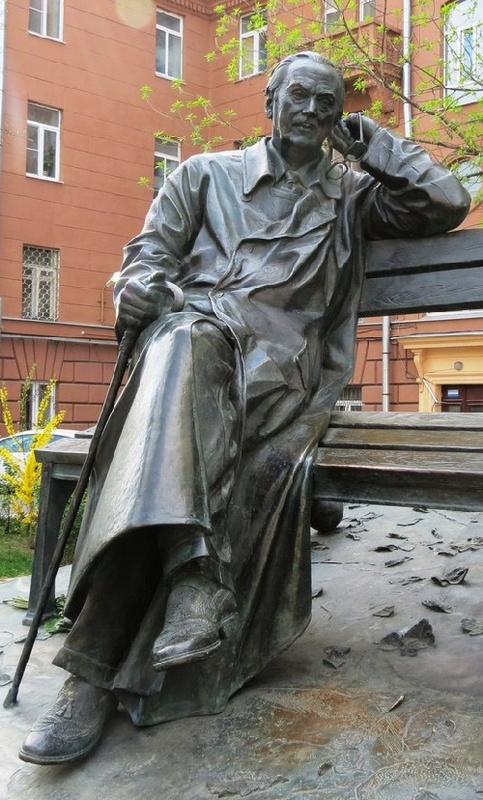 Nevertheless, monuments to Tsvetaeva do not decorate every park and every public garden, or a street of every city. And this is right. Even during her lifetime, she was not controllable by anyone or anything. August 31, 1941 Tsvetaeva committed suicide. The poetess was buried in the city of Elabuga, the Peter and Paul Cemetery. Today, on November 20, 2016 took place the solemn opening of the monument of great ballerina Maya Plisetskaya. The monument decorates a square on Bolshaya Dmitrovka Street in Moscow, near Bolshoi Theatre. The ceremony, held on the birthday of the outstanding ballerina, visited Russian authorities – Deputy Prime Minister Olga Golodets, Minister of Culture Vladimir Medina, chief conductor of the Mariinsky Theatre Valery Gergiev, composer Rodion Shchedrin, General Director of the Bolshoi Theater Vladimir Urin and the head of the Department of Cultural Heritage of Moscow Alexey Yemelyanenko. Author of the sculpture – Victor Mitroshin, project architect – Alexey Tikhonov. The height of the monument – nine meters; on a pedestal engraved the autograph of Maya Plisetskaya. The composition depicts a dancing ballerina in the role of Carmen. During the event, there was music from “Carmen Suite” by Georges Bizet and Rodion Shchedrin.